In Professor Richard Primack's Lab at Boston University, we study the effects of climate change on the timing of seasonal biological events and species diversity. By teaming up with Henry David Thoreau and other local naturalists, we investigate how climate change is affecting plants, insects and birds right here in the Boston area. During my visit to Germany, I headed southeast to Serbia for 5 days. Most of my time was spent in Novi Sad, a beautiful city in northern Serbia on the Danube River. My hosts were my co-authors for the Serbian edition of the Primer of Conservation Biology, which will be published in 2014. One day, we visited Fuska gora National Park, a forested ridge that runs above the Danube River. While much of the forest is still managed for timber production, sections of beech forest are being left in a natural condition. 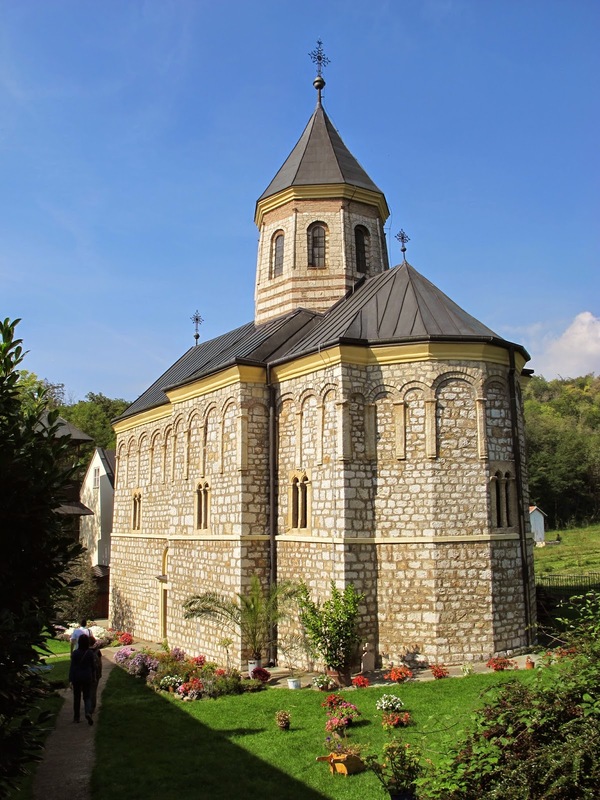 An unusual feature of the park is numerous Serbian monasteries, many of which are hundreds of years old. On another day, we visited the protected lands on the Danube floodplain that are being managed for migratory bird populations, for flood control, and increasingly for environmental education. The Serbian experience was enhanced by many leisurely meals in the open air, and relaxed glasses of wine while gazing at the Danube. One evening we sat at a cafe on the edge of the fortress, gazing at the new bridge across the Danube, built to replace a bridge destroyed by NATO bombing in the 1998 war. I spent much of September and October living and working on the grounds of the Munich Botanical Garden during my trip to Germany as a Humboldt Research Awardee. The Munich Botanical Garden is distinguished by having thousands of plant species packed into a relatively small area, all taken care of by a staff of over 100 gardeners. The garden and adjacent research building were built 100 years ago. I also visited the Technical University of Munich where climate change researchers are investigating the effects of future drought on the forests and tree species of southern Germany. In one experiment, a canopy has been built over a section of forest to exclude rain. In a second experiment, tree seedlings have been planted in sandy soil, with some sections also heated by tubing filled with circulating hot water to simulate global warming. And to complete the experiment, half of the garden is automatically covered by a motorized swimming pool cover to keep out the rain.